Stichting Roodharigen Zijn Kunst hasn't added a story. Join us and help us with your support! 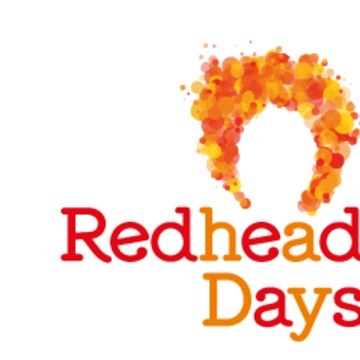 From 2 till 5 September we'll celebrate the 11th edition of the Redhead Days in Breda!. An unique event with more than 6.000 redheads from all over the world. Join us and help us with your support! With your help, we can make the event possible and even more memorable. The more we raise, the more cool activities we can organise and the bigger the party will be. Help us make it the celebration of the century! The festivals main source of sponsorship in recent years has been the support from crowdfunders like you. This year we face an even bigger challenge, because some of the main sponsors and subsidizers decided not to support us anymore. So this year more then ever we rely on your help! How can you help us? Simply by buying our perks or making a donation, you'll become part owner of the festival: your contribution directly influences the continuity of the event and quality of the festivities! In a nutshell: you decide the size and the awesomeness of the festivities. So go ahead and help us kick it up a notch or two! Redheads feel proud to be part of the event and of biggest online redhead community in the world. It allows them to recognise themselves in and connect with their fellow redheads. When they go home, they'll have gained one of the best experiences of their lives and many will return again next year, to rekindle the new friendships they made and to experience that unique feeling of for once not being able to be identified in a crowd, simply by the colour of their hair. Imagine all kinds of cultural and entertaining activities in one place: art exhibitions, dance, music, fashion, theatre, photography, good food and great company. Wouldn't that be wonderful? 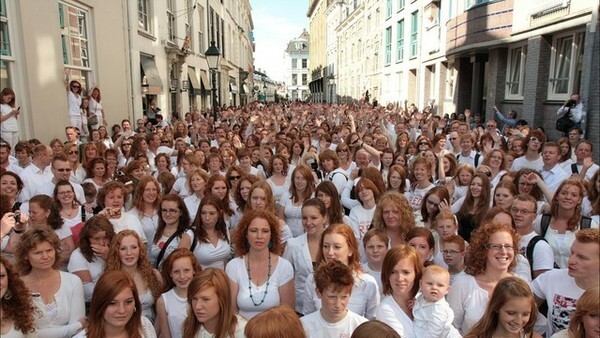 Now imagine thousands of natural redheads in that same place. Redheads from all corners of the world, all ages and all walks of life. Picture yourself being one of them... How exhilliarating would that be? We've got some ambitious plans, hoping to provide you with some unsurpassed activities involving the works of world-renowned artists, wonderful musicians, and a few more things that remain a secret for the time being. All we need to do now, is to raise the funds we need to put these plans into action! Theme this year: Multicoloured Red. Because every redhead is unique, but they are also connected with each other with their own shade of redhair. While the Redhead Days may have been founded more or less by accident in 2005 during an exhibition of paintings by Bart Rouwenhorst, it's definitely grown into a world-famous happening in the 10 years since. 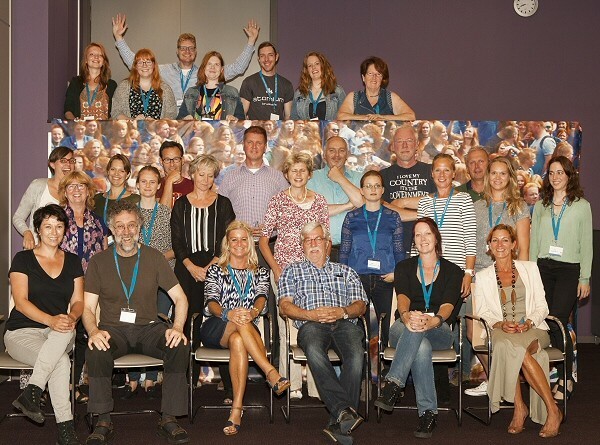 In 2015, some 6,000 natural redheads from more than 80 countries arrived in Breda for the event of a lifetime. They enjoyed more than 60 different activities, including photo shoots, a pub crawl, fashion shows, a city campsite, lectures and workshops about red hair, a high tea, hot air balloon flights, a laser show and much more! The festival's visitors describe the experience as 'meeting thousands of long lost relatives'. The onlookers describe the enormous crowd of natural redheads as nothing short of a work of art, and a true sight to behold. The Redhead Days Festival 2016 is going to be brilliant! 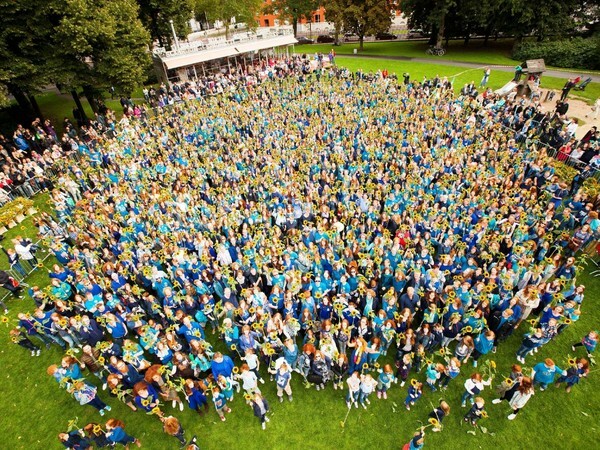 On 2, 3, 4 and 5 September 2016, even more people are going to make their way to the Dutch city of Breda, where they'll participate in a wider variety of activities than ever before. 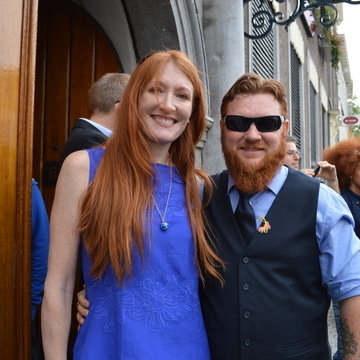 They'll feel proud to be part of the event, which allows them to recognise themselves in and connect with their fellow redheads. When they go home, they'll have gained one of the best experiences of their lives and many will return again next year, to rekindle the new friendships they made and to experience that unique feeling of for once not being able to be identified in a crowd, simply by the colour of their hair. We are a non-profit foundation, powered by a growing team of 100 volunteers. Some of us are redheads, some of us have redheaded relatives, and most of us just love this amazing festival. Each of us dedicates our time and passion, with only the festival itself as a reward; but what a reward that is! We love seeing all those beautiful people, seeing their joy and hearing their feedback. Using the share tools to tell your friends and family about the campaign, or even about a specific perk you like. Creating your own sub-campaign, which allows you to raise money for us within your own comunity. The proceeds go directly to us, so there's no hassle for you! Blogging, vlogging or otherwise telling the world about us and our campaign. Becoming a volunteer! You can assist with one or more activities during the festival or join the organisation. 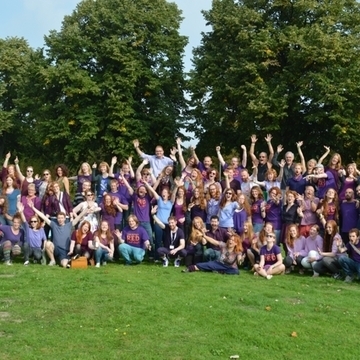 To volunteer, contact bedrijfsbureau@redheaddays.nl and sign up! We also welcome new organisers with open arms. All media are welcome to do a report on the festival or our campaign. 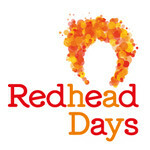 If you need someone to interview or if you want more information, please contact info@redheaddays.nl. •If you own a business or if you are a philanthropist, please consider sponsoring us. There are many ways we can accommodate you. For information, please contact bart@redheaddays.nl. Stichting Roodharigen Zijn Kunst hasn't posted any updates yet. The most epic activity of the Redhead Days festival: hundreds and hundreds redheads and friends will visit no less than ten pubs in small groups. And after that, there will be an epic afterparty where all participants meet. Not to be missed when you want to meet redheads from all over the world. Rent a tent for the weekend! Do you want the full expericience of Redhead Days but you don't want to bring your own tent? Then rent a tent on the city camp De Rooi Pannen. 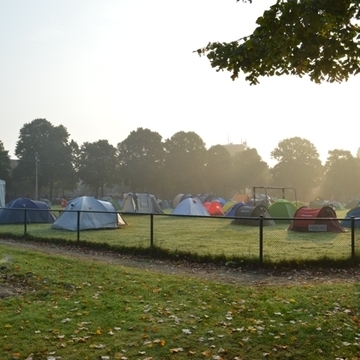 The city camp is near the Centre of Breda. 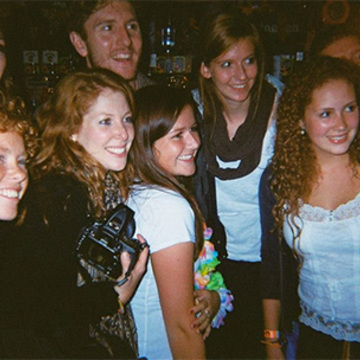 All events are easily accessible by foot and on top of that the city camp is a cosy place where you can meet redheads from all over the world! If you also want to rent an inflatable bed just ad € 10.- p.p. to your payment. Same for the rental of a sleeping bag (€ 10.- p.p.) and Pillow (€2.- p.p.). Make sure you also use the reservation module on the website to confirm your stay! PLEASE SPECIFY YOUR RENTAL DETAILS IN THE THE DESIGNATED ('YOUR MESSAGE') AREA! Reserve your spot at the one and only Redhead Days campsite today! This perk equals one night for one person and includes breakfast, a campfire and endless fun. To add more nights or people, simply increase the amount (e.g. 2 nights for 2 people would mean claiming this perk 4 times). Make sure you also use the reservation module on the website to confirm your stay! Reserve your spot at the one and only Redhead Days campsite today! This perk equals two nights for one person and includes breakfast, a campfire and endless fun. Make sure you also email camping@redheaddays.nl to confirm your stay! Reserve your spot at the one and only Redhead Days campsite today! This perk equals 3 nights for one person and includes breakfast, a campfire and endless fun. Staying the whole weekend not only gives you the maximum amount of fun, it also provides you with an additional € 5,- discount! 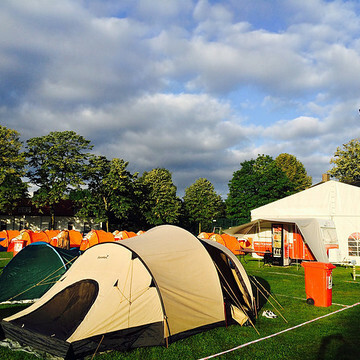 Make sure you also email camping@redheaddays.nl to confirm your stay! 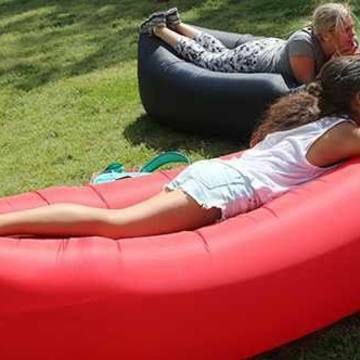 New this year at the Redhead Days festival: 'the Redhead Days Lamzac® Lounge'. The place to be! But you can also lounge at home with this real new Dutch Design Lamzac®, made by Fatboy. 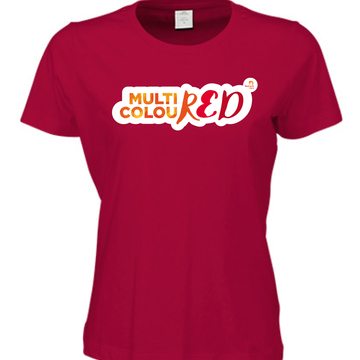 Of course in the beautiful colour RED! Wherever you go, make yourself comfortable. Lamzac® the original is fun & simple to inflate. Just swing the lightweight bag to fill it with air and create a life size lounge seat. When you’re done lounging, just deflate, store and off you go. We only have 10 Lamzac® at our crowfunding site. Be the first and claim your Lamzac® now! It's play time! What do you do to make sure you've got your hands free during the Redhead Days? Easy: get this cute rucksack and use it to carry around all your bits and bobs during the festival. 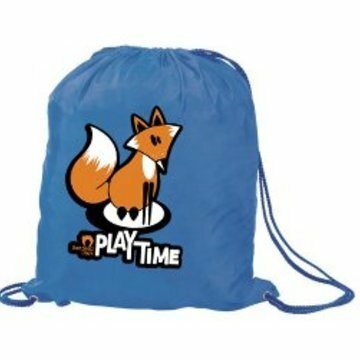 Suitable for men, women and children alike, this rucksack features a cute and exclusive fox design. The nylon rucksack measures 40 x 35 cm (approx. 16 x 13 inch). Let everyone know that you're a friend of the Redhead days! With this official "Redhead Days 2016" limited edition silicone bracelet, executed in this year's theme multicoloured Red, you support the Redhead days event 2016. It is a unique collector's item! 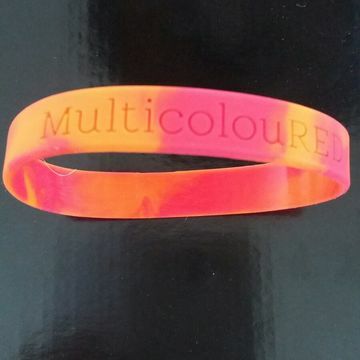 This wristband can only be obtained through our crowd funding campaign. Are you collecting them yet? Plastic bags are on their way out. Indeed in every shop in the Netherlands you have to pay for it since this year! 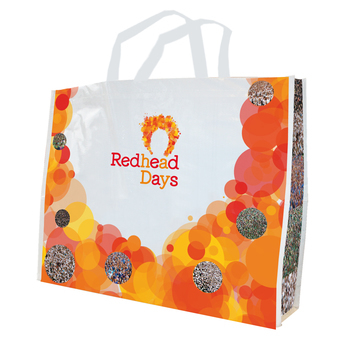 But who wants a disposable bag when you can have this awesome Redhead Days Shopper?! This shopping bag is virtually indestructible and it's most certainly something to show off! The bag is generously sized (40 x 33 x 14 cm / approx. 16 x 13 x 5.5 inch) and it features the Redhead Days logo and official group photos. Shopping was never cooler! 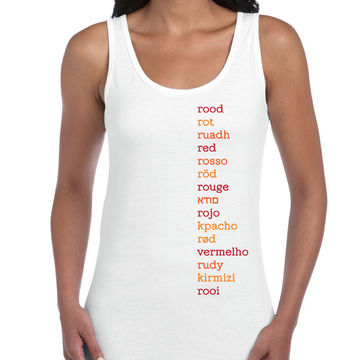 rood rot ruadh red rosso röd rouge rojo kpacho vermelho rudy kirmizi rooi. With this tanktop you can make international friends! It's so easy to speak 15 langues. PLEASE SPECIFY YOUR SIZE AND MALE OR FEMALE IN THE DESIGNATED ('YOUR MESSAGE') AREA! Check your size at the 'Read more' link below. The one and only magazine by redheads, about redheads. 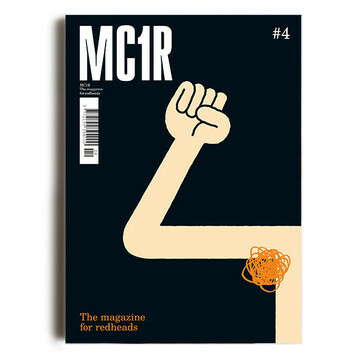 You'll receive your very own copy of the coveted MC1R Magazine. The thick, full-colour magazine includes a variety of interesting articles, stories and information. It's a great read, and it'll look great on your coffee table. Global shipping included, please specify which edition (2,3 of 4) you prefer. This t-shirt can you wear anywhere/anytime. Always when you have a red hair day. PLEASE SPECIFY YOUR SIZE AND MALE, FEMALE OR CHILD IN THE DESIGNATED ('YOUR MESSAGE') AREA! 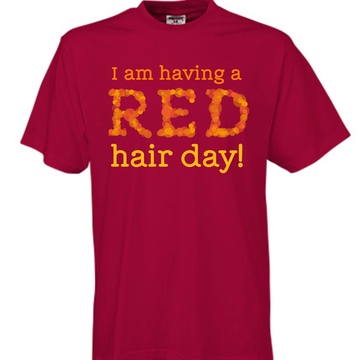 Receive an official Redhead Days 2016 T-shirt and show the world your cool new threads! 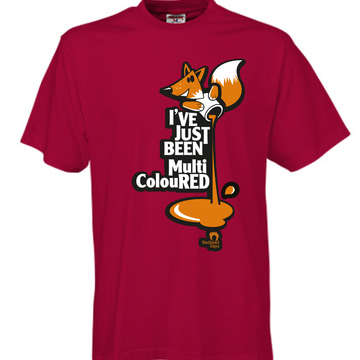 This SPECIAL EDITION T-shirt doesn't just feature the popular "Red Hair Day" print. This T-shirt is a real collectors' item. So don't hestitate buy it now! The Redhead Days continue even after the sun has set. 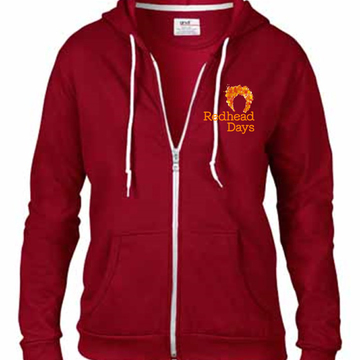 With this official Redhead Days 2016 Hoodie, you'll be nice and warm, and you'll fit right in with this year's dress code! The hoodie is made of 75 % combed ring-spun cotton and 25 % polyester blend, with soft, pre-shrunk fleece lining. The sweater features the Redhead Days logo and comes in a gorgeous shade of red. 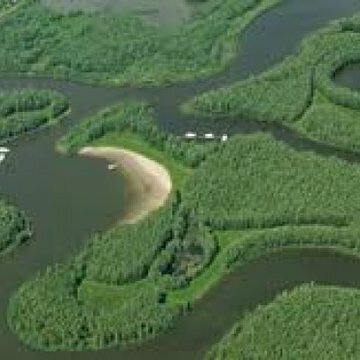 Discover Nationaal Park "De Biesbosch" in Drimmelen (nearby Breda). Go on this daytrip and decide yourself if you want to discover the amazing beauty of the Biesbosch by boat/foot, canoe or bike. This daytip is inclusive your tranport to Drimmelen, lunch, bike/boat/canoe. You can book this trip on Friday 2 september 2016 or Monday 5 september 2016 (9.30 u - 16.30 u). You won't just participate in our popular pub crawl; you'll be a group leader! 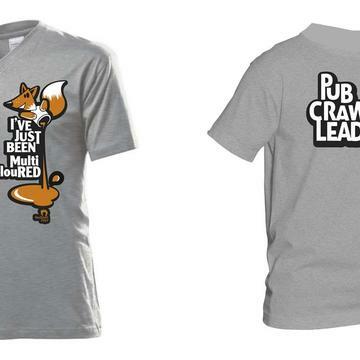 You'll receive an exclusive Pub Crawl Leader T-shirt and a short instruction of the activity you are going to lead. 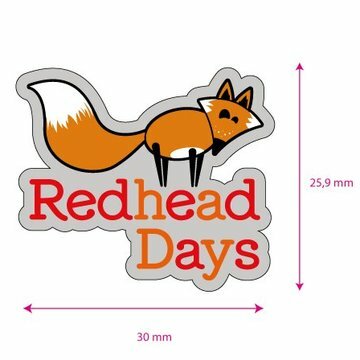 You will be supported by an organisation member of Redhead Days and together you'll lead dozens of redheads from pub to pub. Your shirt will be waiting for you at the Redhead Days info stand. Please add €5 for shipping if you're not attending the festival. 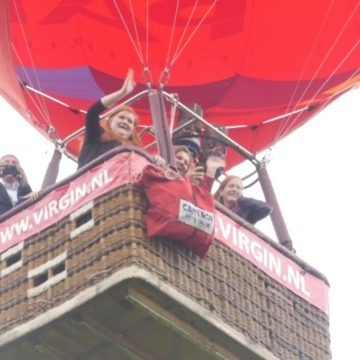 Make your Redhead Days weekend extra magical with a balloon flight over Breda. Weather permitting, there will be two balloons departing on both Saturday- and Sunday evening and you can be one of the lucky few to be a passenger. Donations will be refunded in case of cancellation by RHD or de Rooi Pannen. Be a V.I.P. during the entire Redhead Days weekend. A Redhead Days organisation member will personally pick you up at the airport or any other location within the Netherlands and accompany you to Breda, where you will stay at the best hotel (included). 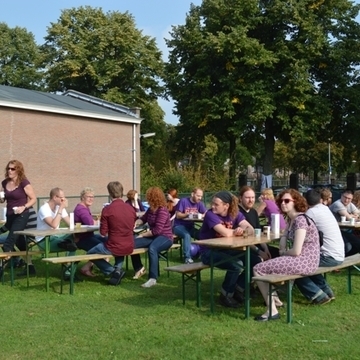 During the event, you'll dine with the organisers. Of course we'll also accompany you on your way back home (at least to the airport) and you can take your pick from the perks mentioned above. Stichting Roodharigen Zijn Kunst is managing the funds for this campaign.